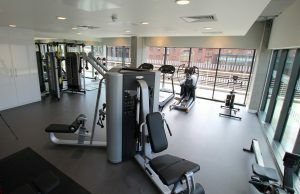 Located in Salford, this was our first scheme for PRS developer Legal and General. 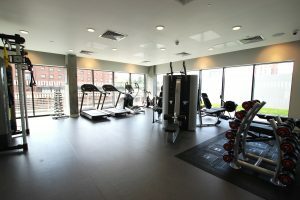 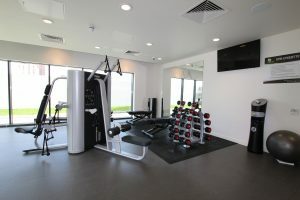 The gym, which boasts an airy and light feel, has wide floor to ceiling windows overlooking the water opposite and was fitted with a number of high quality pieces of equipment. 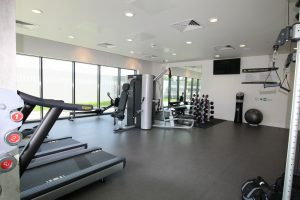 The cardiovascular machines cover a wide variety of areas and include a Technogym treadmill, an Octane cross trainer, a Wattbike and a Concept2 rowing machine.